Our resident coral sorcerer Justin is responsible for these unlikely combinations. 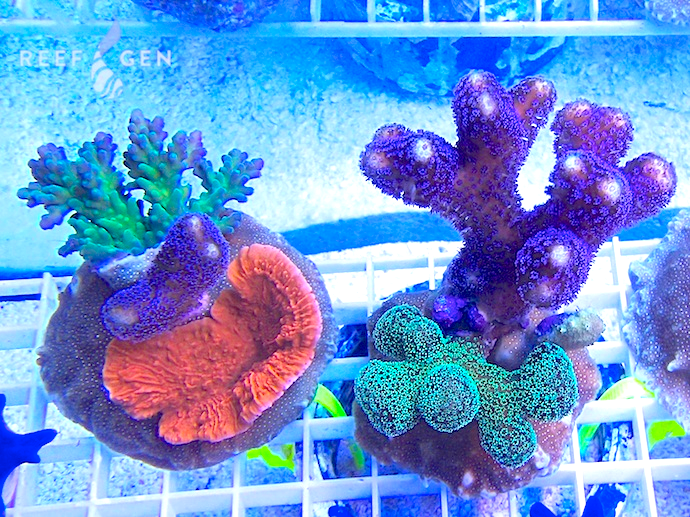 He meticulously grafts and plants these beautiful mini reefs filled with many of ReefGen’s most popular small polyp stony corals, including our Acros, Stylos, Montis, Porites, and Pocilloporas. Every one of these is a unique piece of living art, and with careful maintenance can bloom into spectacular diverse miniature reefs!